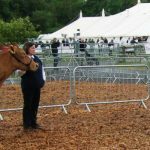 A first class show with 8 exhibitors bringing out 22 animals which David Christophers judged and gave clear,cogent reasons at the end of each class. 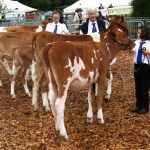 5 maiden heifers born after 1st April 2013 saw the outstanding Wiltown Annabelle (born 30/12/13) beating older heifers for the style and length she has and she was shown beautifully by 7 yr old Isobel Phillips with Grandma standing 2nd with Hinton Nancy and with another smart calf Bourton Clover 49 from Abi Marshall in 3rd place. 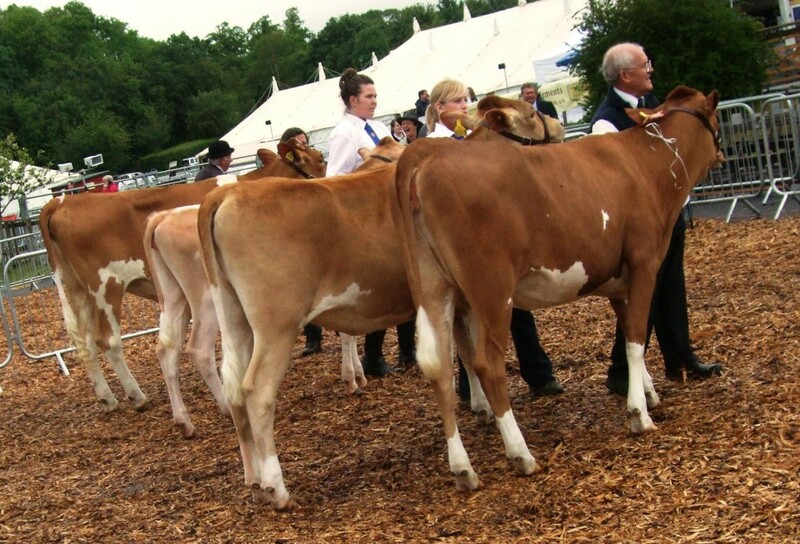 4 Bulling heifers contested the second class and this saw the debut of the new Addington Fund heifer once again selected by John Berry and on this occasion from the Trewey herd of the Mann family, she is a Beechgrove Ezekiel out of an “English” bred dam who was by Kelsmor Mays Sonny Boy. 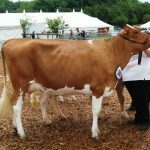 She rejoices in the name of Trewey Plum Crazy but has quickly realised that she has arrived in “cow heaven” at Curry Rivel. 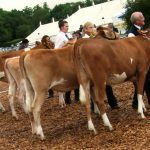 David Christophers commented that EGCS should be extremely grateful for the work that Brian and Sheila Adams put into rearing , preparing and showing the calves/heifers that they bring out. 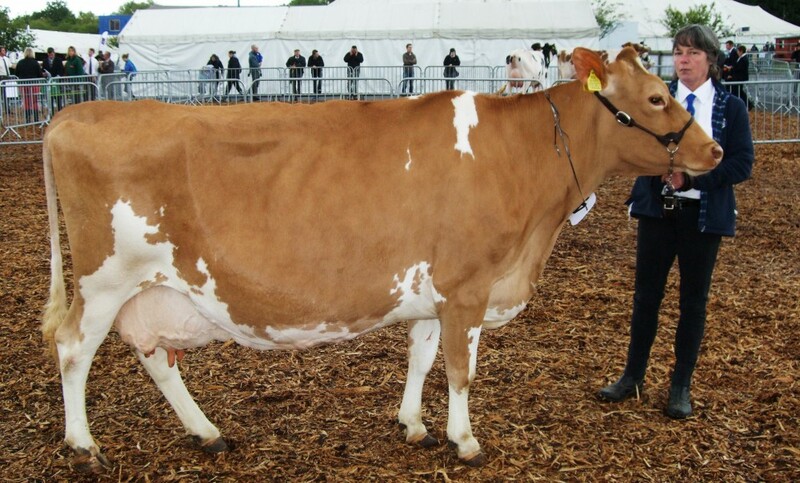 In second place was Bourton R Damson 22 from the Marks family with Greensfields Rums Claudia in third place and she is the daughter of the first Addington Fund heifer. 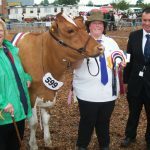 Two in milk heifers had a contrast in size but were both very correct and the Coryn family made a winning debut in the Guernsey ring for their “Lucky Cow” herd with Hamps Valley Annabelle 7 the Addington Fund heifer from last year that Pam was so delighted to win in the draw last December, and she has so much style and presence and stood over Fairfield Olivia from Louise and Chris Carpenter. 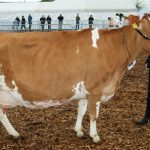 Two cows in milk saw the re match of last years Champion pair with the second calf Greensfield Iceberg Junes Star (H86), taking on Trevider Hercules Linnette now in her 3rd lactation and currently giving 42 litres having given over 10,000 kgs and 1000 kgs of F+P in her 2nd lactation. 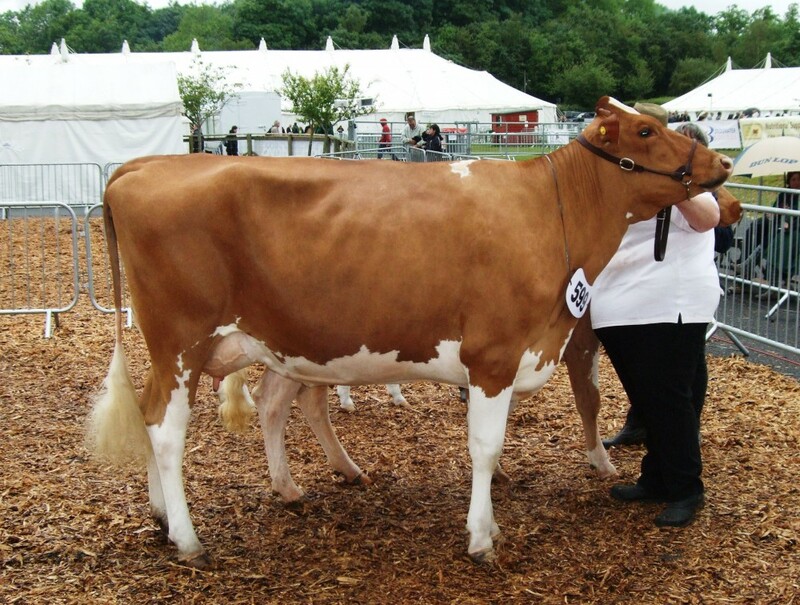 After a lot of thought David opted for June Star, who was shown brilliantly by Caroline Greenslade, wheras Linnette would rather have been at home with her head down grazing! 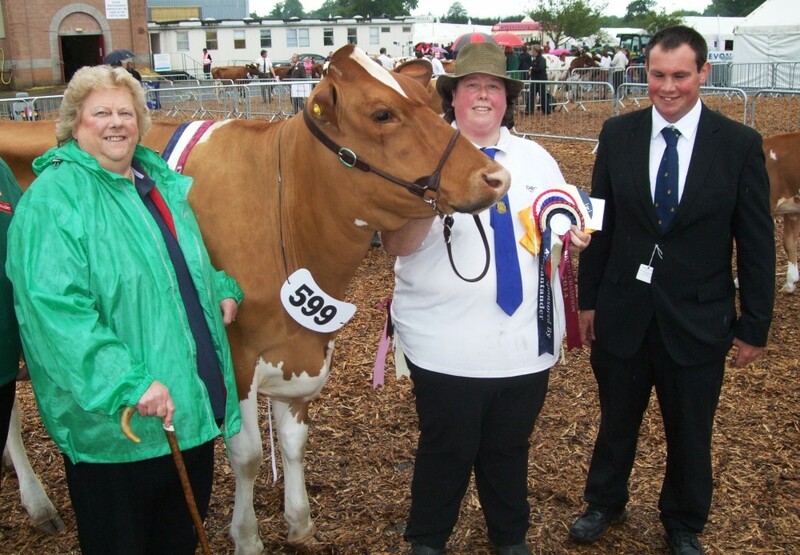 The Championship then became a great spectacle with a quality line up of all the class winners and both cows in milk and here it was obvious that Annabelle has so much style and presence and will improve more with another lactation and she was Champion on Pam Coryn’s birthday to complete the “fairytale”, with June Star reserve and the beautiful calf Wiltown Annabelle as Hon Mention. 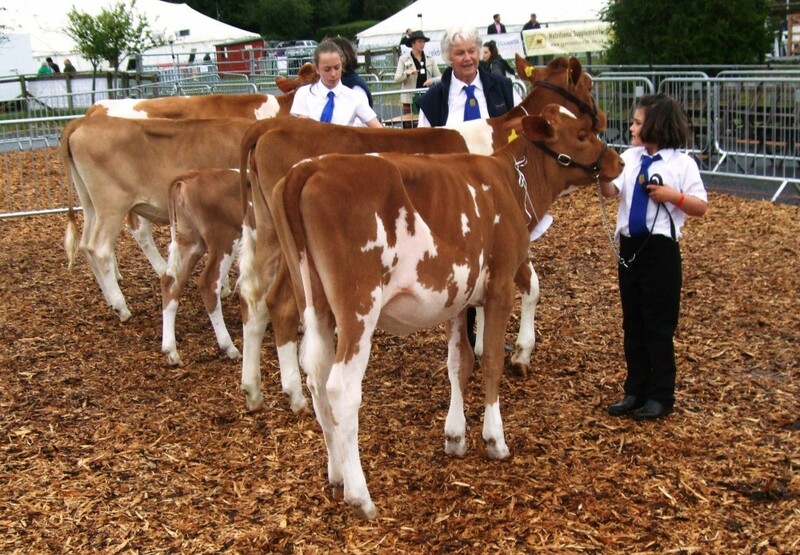 It was a very happy show with each exhibitor among the prizes and an enjoyable atmosphere in the lines.